We picked Prada up on February 12, 2017. She made the road trip all the way from Tennessee with a few other puppies, thanks to all the volunteer drivers that took the time to save this group of dogs. Prada came to us with some infected bites on her ear. Although we aren’t sure what happened, our best guess is that another dog bite her. She also had whipworms, so she had to have medication to rid her of the worms. As I’m writing this, we’ve had her for 3-1/2 weeks, and she is now healthy, worms are gone and ear healed. Read more about dogs and worms. Hi Prada here, I am looking for a family that I can love and play with. I’m only about 1 year old, so I have lots of energy… I love to run around with my foster doggy brother and sister and play. My favorite thing to do is nibble on my foster brother’s ears, those big lab ears are just so irresistible! During the day, I hang out in my crate to keep me safe while my foster mom works. I don’t mind as long as soon as someone comes home I can come out and play! I don’t really care to bark too much, only when my foster brother or sister tells me I should… you know when the doorbell rings or something like that. My foster family takes me for walks every day and I look forward to it! My foster mom says I’m learning not to pull and doing really good. After taking a long walk, I love giving kisses and curling up on the couch with my humans. I think I’d like to take a long run with my human, but my foster mom says she doesn’t run 🙂 But I have these long legs that would be great for running. I do like to find things around the house to steal and nibble on… those slippers and stuffed toys just smell so good and I just can’t help myself when I get bored. I’m learning not to use my mouth so much to show my happiness, seems that people don’t like to be nibbled… ha who knew, I just like to tell everyone how much I love them! My mom keeps giving me bones and chew toys and says I should chew on those instead, so I’m learning. I know how to sit and come, but I think a training class would be fun. I really like learning new things and making my human happy. Will you be my forever family? Sorry, it has taken a bit to get you the photo of the three of us but, here it is!! Kira (aka Prada) has settled in very well, it is as she has been a member of our family all along. Kira has already made a ton of new human and doggie friends since coming to us. We are enrolling her in puppy classes as soon as the next session starts, not only will this be good for us but I think Kira will enjoy them as well. CLICK HERE to join your fellow dog lovers and get FREE access to my library of resources containing valuable downloads to help you in your dog journey. 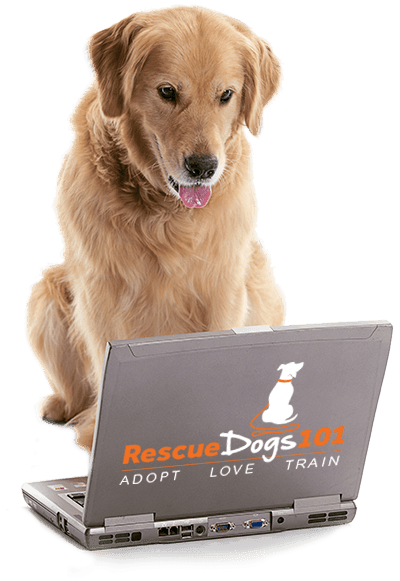 Join your fellow dog lovers and get FREE access to my library of resources containing valuable downloads to help you in your dog journey. and the link and password will be sent right to your inbox.